Do you want to use Voice of the Customer tools to get feedback from your visitors, but not sure how to go about it? I’ve outlined below a best practice guide on how to use online Voice of the Customer tools to gain insights and increase conversions. I’ve also reviewed over 20 online survey tools for you to use. When to use Voice of the Customer tools? Asking people questions hours, days, weeks or even months after a visit to your website is not going to deliver very accurate feedback on your customer experience. Our memories have to be reconstructed every time we recall them and as result they change on each occasion they are retrieved. Voice of the Customer tools though allow you to gather data during the actual experience, allowing customers to express opinions and feelings when or immediately after an event occurs. This provides for much richer and accurate feedback on your site. Online survey tools can catch users in the moment when it is best to obtain feedback. How To Use Voice of the Customer tools? Why – What are visitors looking for when they come to your site and is it meeting their expectations? Identify the main use cases – what are people trying to achieve and are they successful? Barriers – What is preventing users to complete their task? Find out what is preventing visitors from completing everything they set out to do. Missing information – Are visitors finding everything they need on a particular webpage? For example, audit your homepage to compare the content with what customers say they are looking for on your website. Segment the data by new and returning visitors as they may have different requirements. This can help identify unnecessary content on your homepage and highlight other information that you should consider replacing it with. Competitors – Which of your competitors’ sites do your customers use? Digital marketing is a zero-sum game, if you can’t convince your visitors to buy from your website, one of your competitors may be more persuasive. Voice of the Customer tools can be used to identify which competitor sites visitors are going to as their expectations will be influenced by these other sites. If your value proposition and customer experience does not compare favourably with these competitor sites you may struggle to convince visitors to convert. Value proposition – What attracted new visitors to your website? Online survey tools can be used to identify what aspects of your value proposition are most appealing to new customers as this may not be the same as what you have on your website. Use this feedback to develop and test different proportion messages to see if this resonates better with customers. Bugs – when your site is broken visitors can provide you with the evidence you need to fix it. Some on-line tools (e.g. Bugmuncher) automate this process so that you can get screen shots and technical details sent directly to an inbox for quick and efficient resolution of problems. Exit surveys – Online survey tools are ideal for finding out why visitors leave your site. When users have decided to leave your site you have nothing to lose by asking them to provide feedback on what they thought of your site. Ask them if they found what they were looking for or what would make them return to your site. Abandon basket – When someone abandons their basket this is a great opportunity to get their feedback to understand what is behind this behaviour. Has something on your site raised concerns or are they struggling to get the delivery date they require? Any feedback from these customers may help you identify issues that you can seek to resolve to improve your conversion rate. Online survey tools allow you to create a questionnaire and then you can email your customers a link to the survey to find out why the abandoned their basket. Online survey tools are great, but don’t take what your visitors say literally. People are complex and we are not always fully aware of our own motivations and reasons for the decisions we may. Psychology shows us that cognitive short-cuts (e.g. stereotypes and confirmation bias) and our social networks are important drivers of our behaviour. This is why people will say one thing and do something completely different. For this reason it is a good idea to validate insights from Voice of Customer tools by looking for supporting evidence from your web analytics, but also review session recording from user experience tools. If you have sufficient traffic you may also want to A/B or multivariate testing to measure the real impact on behaviour. Never only rely on online survey tools for informing decision making as user insights should be supported by other sources of evidence. Ok, so you now want to begin asking questions using online survey tools to identify insights that can help you improve conversions. Below I’ve summarised over twenty Voice of the Customer tools that can be used to give you new insights into customers’ opinions and behaviour. 1. Bugmuncher: Enables users to report problem & automatically sends your company screen shots with details of the browser, the operating system, the path they took & even which browser plug-ins they have installed. An ideal solution for any site that has more than its fair share of bugs to fix. Free trial available. 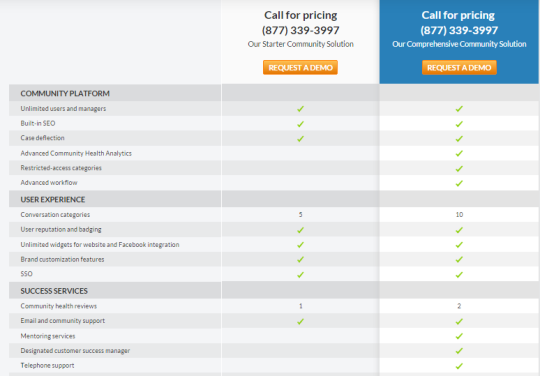 Price: Plans range from $19 a month for a single user (Personal plan) to $99 for the Corporate plan with up to 5 users. For most small to medium sized companies the Start Up plan at $49 per month offers good value as it allows up to 3 users and 400 reports per month. 2. ClickInsightsIO: Sends one-click lifecycle email surveys to your customers based upon what they do or don’t do on your website or in your app. 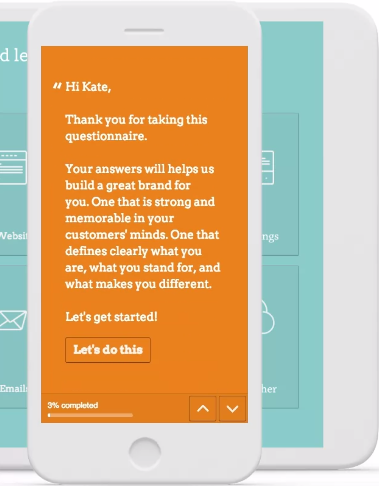 Create surveys with questions with up to 4 clickable answers and when customers click on their answer they will land on a customisable landing page that allows you to ask an open-ended question for more in-depth insights and the ability to include a call to action to read, download or purchase something. Price: Free unlimited 2 week trial. A single subscription plan is available at a cost of $49 per month for unlimited questions and responses, plus instant email notifications. 3. 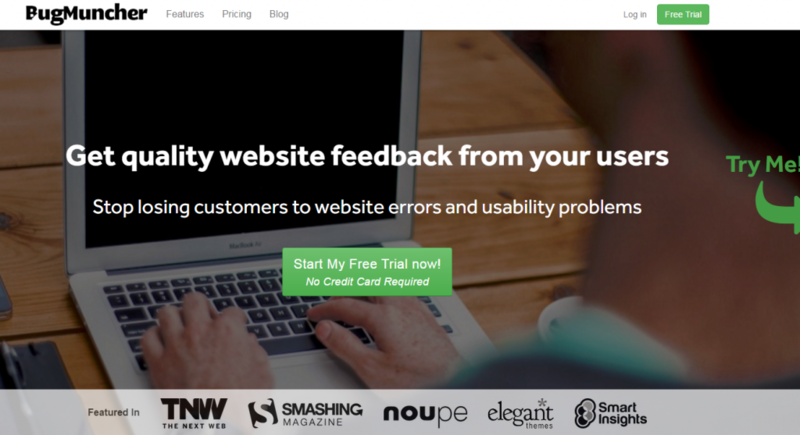 Feedbackify: Voice of the Customer tools like Feedbackify use a fully customisable widget to deliver short online surveys for your visitors to complete. The Feedback Dashboard allows you to view answers with full context, including which page it was submitted from, your customer’s geographic location, browser, operating system, screen size etc. Price: Offers a Free full-featured 15 day trial. A single subscription plan costs just $19 a month. 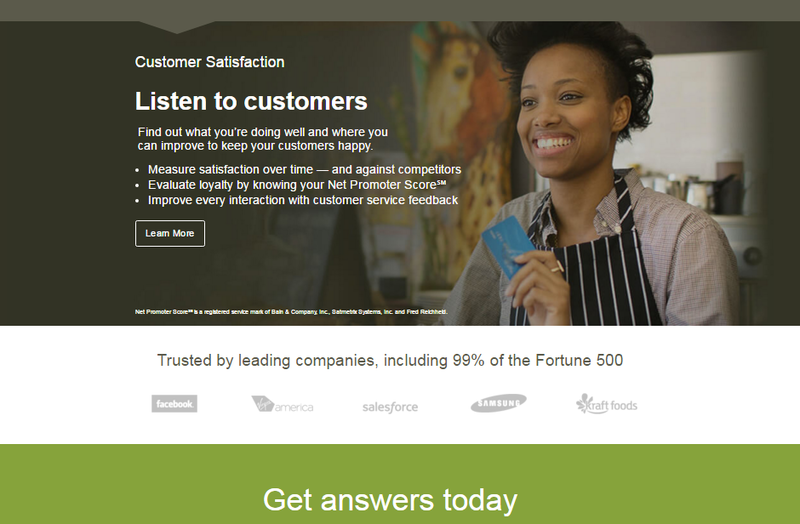 4. getsatsfaction: Now acquired by Sprinklr, getsatisfaction is an online community platform that deeply integrates online survey tools into your site to allow customers to connect with your company and other customers. Q&A tools capture, organise and automatically share commonly-asked questions. to Champion status to recognise them publicly and give them special privileges, like access to moderation and curation tools. The widget is fully customisable and allows customers to ask questions, leave praise, share an idea or raise a problem in 12 different languages. This is available across all devices and screen sizes, and social media integration means that you can view customer community feedback alongside other social content and push content from the community to Twitter or Facebook. Price: Two plans available, Professional and Enterprise, prices not stated on website. 5. Hotjar: This is a great solution that offers a range of visual analytics solutions (e.g. heatmaps, session recordings, & form analytics) together with customer polls, surveys and an on-site usability recruitment tool. See our review of Hotar analytics for conversion optimisation. The Free basic service offers up to 3 on-site polls, surveys and recruiters for live usability testing each month. The Pro and Business packages both offer unlimited polls, surveys and usability test recruitment. The Business service also allows you to remove Hotjar branding from the feedback widget. Price: The Free Basic plan allows you to run up to 3 polls or surveys a month and obtain up to 300 responses. Pro plans start from €89 a month for up to 20,000 page views a day. 6. InMoment: A Voice of the Customer tool that uses an “omnichannel” approach to gathering customer feedback, drawing from various channels such as text, email, video, social media, and more. Most powerfully, through machine-learning “active listening” technology, their platform encourages more in-depth responses from your customers by automatically formulating follow-up questions based on customer input. Finally, their robust analytics and reporting features will gather all your data to show valuable insights, allowing you to make informed business decisions. Price: InMoment is more geared toward enterprise-level companies, and you can request a customised demo. Pricing is determined by location and a company’s specific needs. 7. i-Perceptions: One of a number of free online survey tools. This delivers a pop up that asks three simple questions to website visitors. The three questions could include: “How would you rate your site experience?”, “What describes the primary purpose of visit?” and “Were you able to complete the purpose of your visit today?” You can use the feedback to understand how people engage with your website and find opportunities for improvement. Price: A Free and Enterprise plan. No prices on the website. 8. Kampyle: Employs a widget on your website with the ability to tailor the feedback form for different parts of your website to ensure it is relevant to your visitors. This includes the ability to intercept visitors who are about to abandon their basket or exit your site to ask them questions to understand the root causes of abandonment. Its ability to integrate with Google Analytics and Adobe Analytics means that you can overlay behavioural data with feedback to evaluate and optimise efficiently. If you wish you have the ability to respond directly with a built-in response system and you can set up an automated response system that routes feedback to the appropriate people in your organisation to respond and take action. Price: A Free plan offers 1 feedback form and 10 feedback items per month. All annual plans offer a Free 2 month trial. Subscription plans start from $249 per month for Bronze for a single feedback form and up to 200 feedback items per month. The Gold plan ($999 a month) gives you 3 feedback forms, 3 users and up to 1,000 feedback items. There is also an Enterprise plan available for larger organisations. 9. Omniconvert: An optimisation solution that also provides Voice of the Customer tools including a flexible and professional online survey tools. This provides on-click surveys (triggered by clicks on a designated HTML asset), branching logic set up which ensures the questionnaire responds to the user’s answers and a segmentation engine for targeting of specific user groups. You can either serve pop-up surveys or use a widget which appears at the bottom of the page. 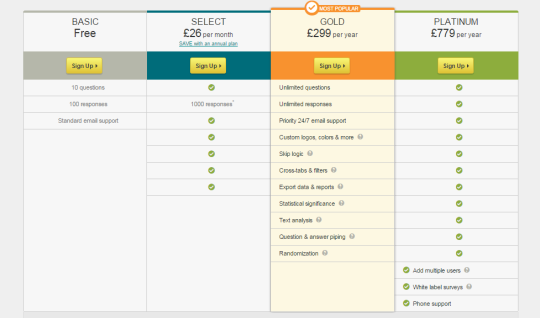 Price: Free for up to 5,000 tested views and offers flexible paid plan (no pricing guidelines shown). 10. Opinionlab: Global leader in Voice of the Customer tools and real-time listening solutions. Opinionlab uses the [+] widget on your site to gather visitor feedback. It offers dedicated solutions for desktop and mobile websites to ensure an optimal customer experience. Opinionlab also has the ability to benchmark across sectors and digital and physical touch points using their patented Customer Feedback Index and Functional Mean Ratings solution. Price: No plan costs mentioned on the website. However, from my experience not a cheap solution for websites with large volumes of traffic. 11. Proved: Voice of the Customer tools like Proved are ideal if you simply want almost instant feedback on an idea, prototype or a new product development that you want to check-out before it goes live. Feedback is normally provided within 3 to 4 hours and guaranteed within 24 hours. Proved uses crowd sourced feedback to evaluate new product developments. The Starter plan for early stage ideas gets feedback from 20 testers, while the Basic plan for perhaps a prototype gives you 50 testers. Pro allows you to test a fully developed product with 100 testers to reduce uncertainty before launch. Free trial available on request. 12. Qualaroo: Offers a customisable widget for desktop and mobile devices. You can target questions to visitors anywhere on your site, and includes exit surveys to capture insights from visitors who are leaving your website. They offer a Free trial and subscription plans start from $63 a month for desktop. 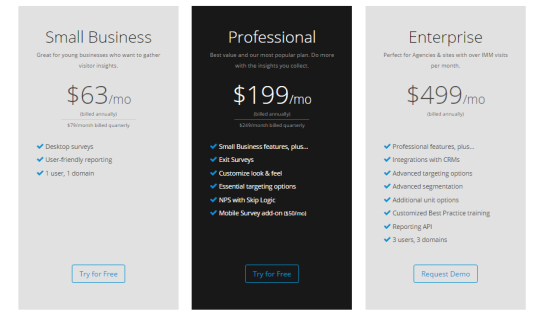 The Professional plan costs $199 a month and includes exit surveys and mobile survey add-on. The Enterprise plan ($499) provides for integration with CRM tools and advanced segmentation. 13. qualtrics: Offers enterprise Voice of Customer tools that includes Site Interceptor which allows you to survey visitors as they browse your website. A fully flexible offering that includes over 100 different types of questions, drag-and-drop ordering, advanced flow logic, rich text editing, and the ability to include images, videos and audio in surveys. It also allows you to randomize the order of response categories, set quotas and set-up email alerts. No pricing information on the site – quotes can be requested by contacting qualtrics. 14. Survata: Voice of the Customer tools for those who have never designed questionnaires before and want some advice to complete the process. The tool finds respondents for your survey who meet your target audience from 17 countries by age, gender, geography and custom attributes. You write your surveys questions, build your questionnaire using their self-service survey tool and an analyst will then review it and suggest edits based upon industry best practice. Survata will then find the respondents for your survey and provide raw data in an Excel spreadsheet and in Statwing, a free partner analysis tool. Price: Plans range from $200 a month for Quick Read for surveys of up to 200 respondents per survey and $2,000 a month for Deep Read which offers up to 2,000 respondents. For mobile forms SurveyGizmo automatically re-formats questions for the device and only displays one question at a time. Mobile surveys also enable use of their File Upload question to gain access to the respondent’s camera and allowing you to capture photos for the study. Automated reporting tools offer one-click advanced reports and cross-tabs for full analysis of your data. Export data to other data analysis packages. You can also schedule reports and email results to fully automate the reporting process. Price: Plans range from just $25 a month for Basic which offers over 30 question types and $95 a month for Premier. An Enterprise plan offers multi-user access for an unspecified price. 16. SurveyMonkey: One of the most well-known and popular online survey tools that enables the creation of most types of surveys, including web, email, mobile, social media, and automated telephone surveys. If you need to find respondents, SurveyMonkey Audience allows you to define your target audience and will then provide you with the feedback you require. Offers 15+ types of questions, customisable logo and branding and the ability to set skip logic by page and question. Fully integrated with the likes of MailChimp and Eventbrite. Comprehensive real-time reporting available, together with text analysis, SPSS integration, custom reporting, cross-tabs and presentation-ready charts and reports. A Free plan is available for 10 questions and up to 100 responses per survey. Price: Subscription plans start from £26 a month (Select) for up to 1,000 responses to £65 a month for Platinum that offers an unlimited number of responses. 17. Surveypal: One of the most popular Voice of the Customer tools. It positions itself as an enterprise survey tool that uses an intuitive drag and drop style editor to make it easy to build high quality online and cross-device surveys. You can also choose to edit one of their professionally designed templates if you prefer. They also offer customer support via phone, email and built-in live chat to make the process stress free as possible. All support staff are engineers which means you can expect to receive a high level of technical support to quickly resolve any problems. presentations in a variety of formats such as PowerPoint, Word, Excel, SPSS and as an interactive dashboard. Surveypal integrates with Slack, Zendesk, Salesforce and many other apps. Their API also allows you to send, receive and track surveys. A Free plan is available for up to 100 responses. Price: Subscription plans cost $40 a month for Premium for 1,000 responses per month. An Enterprise plan is also available with an unlimited number of responses per month. 18.Temper: People are emotional creatures and Temper uses smiley faces for its Voice of Customer tools to measure how customer feel about your organisation and the topics you ask them questions about. It offers three options for delivery of surveys. like to get feedback on a specific item or experience. gauging how your customer support interactions are performing. Price: A 60 day money-back guarantee is available on all plans. Subscription plans range from Hobby at $12 a month to White Label at $199 a month. 19. Typeform: Voice of the Customer tools that aims to delight respondents, keeping them focused on one question at a time and the versatility of their forms. Provides an enterprise survey tool for use across all devices. Offers Free plan (Core) for basic users. Price: The Pro plans costs $20 a month with unlimited typeforms and responses. A Pro+ for teams is currently under development. 20. UserReport: A Free tool that offers both online survey tools and feedback forums. The online survey tool allows you to ask for feedback about your website and gather visitor demographics in over 60 languages. You can either use the ‘ready-to-go survey or customise with your own logo, colours and questions. Survey results are presented in intuitive reports that can be easily shared and exported as PDF or raw data. The feedback forums give you the opportunity to gather ideas on how to improve your website. It also allows users to report bugs, submit issues, comment on and vote for ideas online. It works across devices and is fully customisable. Price: The solution is currently Free. 21. 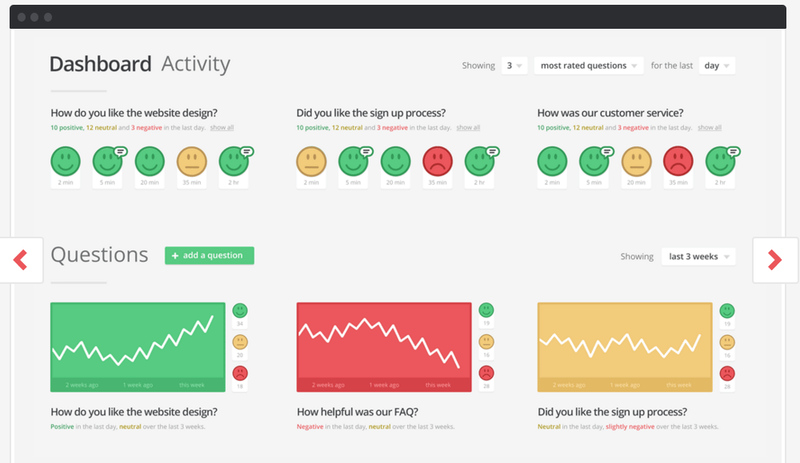 UserEcho: Offers a suite of online survey tools for better customer service and engagement. The main customer feedback tool is their Ideas Forum which enables customers to ask questions, share ideas and learn. Customers can vote and you can gather critical feedback of what they like or dislike. Users can login via popular social networks which eliminates the need to go through a registration process. In addition, the Knowledge Base will automatically search for answers when a user writes a query, and in the case of a match will display the item to the user. UserEcho also enables live chat conversations with visitors on your site. 15 day Free trial. Price: A single plan is available for £15 a month. 22. Uservoice: Voice of the Customer tools that offers a all-in-one product management platform to make it easy to give customers, partners or internal teams a voice with private labelled feedback forums. You can collect customer feedback on web or mobile with a native user experience. Uservoice does not require your customers to register which encourages participating. The forums work by visitors raising a ticket and then vote or discuss ideas and possible solutions. The tickets contain useful information on the user including their OS, browser and the page from which the ticket was raised. Price: Basic plan costs $499 a month and the Premium is $999 a month. An Enterprise solution is also available with quotations on request. 23. Voice Polls: Create questions or use existing templates to poll your website visitors by embedding surveys onto your website or blog. If you agree to sponsored polls behind your own polls you will earn revenue for every sponsored opinion collected from your site. You can browse trending polls from other users add those to your website to see if they improve engagement with your site. Voice Polls are a Free tool for online publishers. They can help you grow your traffic, engage your reader, learn from them, discover who they are and bring some interactivity on your pages. Price: For non-publishers each question is priced at $12.50 and $0.05 per completed survey. 24. 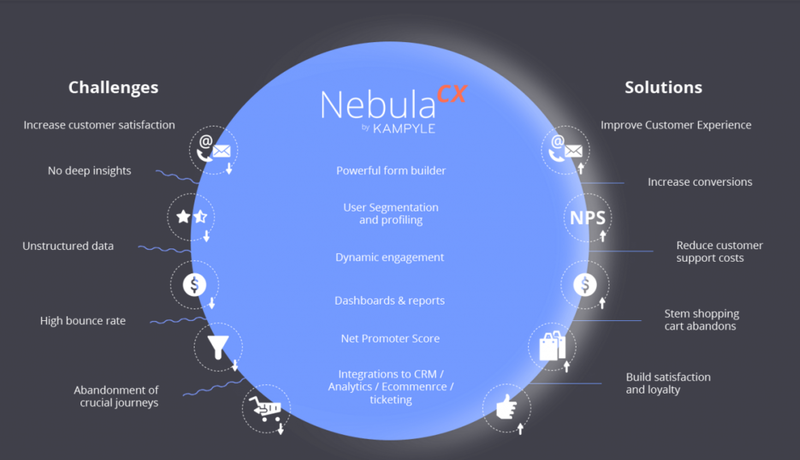 WebEngage: Voice of the Customer tools that offers surveys, feedback forms and in-depth information (including screen grabs) to obtain and resolve customer problems and notification to display messages to specific audiences (e.g. shopping cart drop-off). Survey: Collect insights from visitors. Target questionnaires at specific audiences using rule builder. Get real-time analytics and reports. Feedback: Add context to your feedback form with custom fields and automatic screen grab features. Notification: A push messaging tool which lets you display offers, discount codes, product launch announcements etc. to visitors with real-time statistics. Price: Plans range from $49 for Basic to $949 per month for the Enterprise Lite solution. Use Voice of the Customer tools today! Many of these online survey tools provide free trials and many have free plans so there is no reason not to give online Voice of the Customer tools a go. Further, using such tools can also help encourage a more customer centric approach to optimisation and website development. People are naturally curious about what potential and actual customers think about their ideas and designs so assist this process by giving your colleagues the opportunity to capture such feedback. Thank you for reading my post and if you found it of value please share it with your contacts by using the social network icons below or at the top of the page. The only one that I have used for this list has been Kampyle. And has given me very good results. I’ll try the other tools. Thanks a lot for this list so interesting and useful.